As we know Shipla Shetty will be a mom in this year . 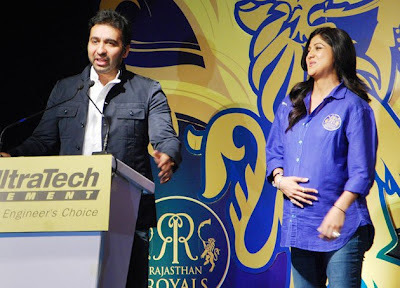 she was seen with her baby bump in Launching of New Jersey for her IPL team "Rajasthan Royals" . shilpa, excepting her first child was seen happy with her husband Raj Kundra .